The stock market has been inaccessible to the large majority for a long time. However, with the rise of online trading a wide range of markets and assets became available. Among the most popular ways of trading shares is by trading CFDs. This way you get access to the stock market and shares of your preferred companies. When trading CFDs you need to remember that trades are placed on the price fluctuations of a public company’s shares. 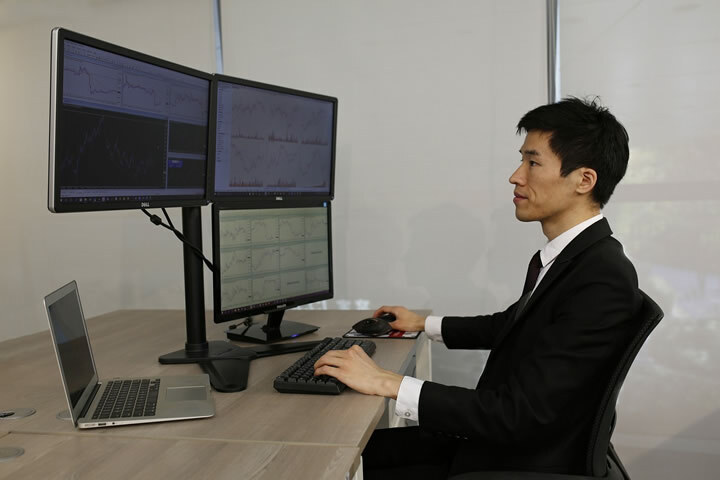 The flexibility of CFD trading gives the trader an opportunity in terms of ownership of the underlying asset which is an important trait of this type of online trading. Yet there is the risk of losing your entire investments due to price movements. A thorough research on the chosen company is a wise move to be aware of the shares value and events that can have a negative impact on your investment. A CFD broker will offer assets from a range of markets including the major ones (Dow Jones Industrial, DAX(German), FTSE (UK), S&P and NASDAQ). In each of these markets there are shares of companies operating locally and globally. Top brokers will have a diverse portfolio of shares, so you can choose and trade over 1000 instruments. Always make sure and check the broker of your choice will be regulated by main institutions such as CySEC or FCA. CySEC brokers need to display their license details on the website. Search for this kind of information when researching shares of companies that suit you best. Trading online is not always safe, and you need to look for signs the broker is not a scam. Let’s have a look at the most popular stocks from different industries. Alibaba Group Holding is a company listed on New York Stock Exchange known for operating a variety of commercial ventures, including online shopping, travel booking and marketing services. Everyone knows the information technology and communications giant. Apple is by now the most known name in modern business. A truly global airline serving millions of passengers each year. Its operations extend to several segments – passengers, cargo, maintenance among them. Shares CFD can only be traded during the opening hours of the stock market they are listed on, so different companies will have different trading times. Trading shares as CFDs will not get you the actual shares in companies like Alibaba, Apple or AirFrance-KLM, but will give you the opportunity to trade on the price movements of these industry giants. No matter what company you decide to trade it is always important to research the industry and history of it. Risk warning: trading involves high risk; you could lose your entire capital. The text above is for general purposes only and is not a recommendation or advice to take action.